The latest Drive Buy update (2283) might be our best yet… Loads of new stuff, check the changelog. Our favourite? The updated FREEZE RAY – now you can boost through frozen rivals to take them out. For the directors among you, there’s a new camera mode for capturing your whip from mind melting angles. It can be really helpful for capturing gameplay footage to use for stream intros, cool screenshots or whatever you need. The last big one is so cool, a reason to jump around and throw some emotes because you can now advertise games natively in Discord to get players into your game. It’s some slick Discord integration using their awesome SDK. Thanks Discord! This week we’ve added a new preview map for you to try called “Canary” — it’s surrounded by a breathtaking water feature and it’s really fun to see far across the map. We’ve also started marked out the career section on the main menu so in the coming weeks we will be resetting the XP earned for every player so we can fully test this out. More details on that next week. This past week we’ve been working on improving the join game experience. We’ve made the experience of being invited to a lobby or party, less overwhelming. We want to allow for a more seamless joining experience, so joining a game in another region will automatically swap you to that region. You can also change the region without having to quit the game and navigate back to the options screen. Our second stop for the Drive Buy Roadshow was with our friends at Ustwo, known most recently for their beautiful Monument Valley game series. Staying true to our word of bring something for the developers we visit, we created 2 custom emotes for the event, the Dizzy Totem and Laughing Crow. It’s always great fun playing with other development studios, the feedback is essential, but most of all, UsTwo Games enjoyed playing Drive Buy!Next stop is Payload Studios, creators of TerraTech. This post features the Drive Buy roadshow, an event where we go to friendly game studios and bring a custom build of Drive Buy that features stuff about that studio. It’s kind of like high fiving, but with a video game. 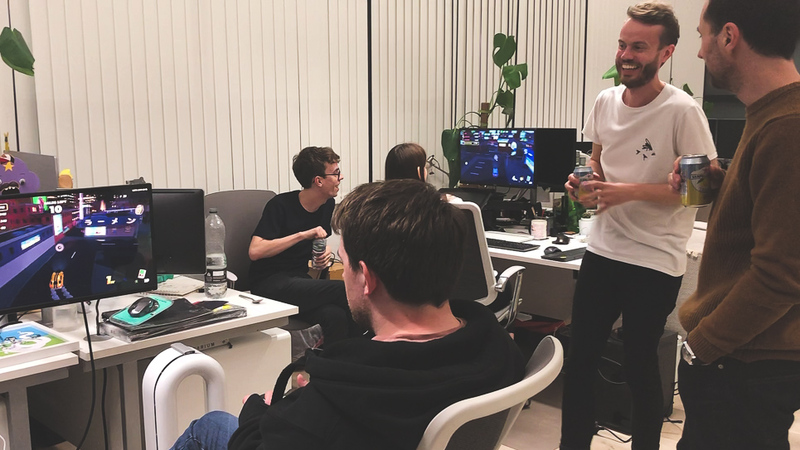 Our first stop was with our friends at Chucklefish, known for loads of cool indie games such as Starbound, Wargroove and Stardew Valley (amongst others). We featured what has become our very favourite emote – the Chucklefish! We also plastered the Kingsland map with advertisements for Wargroove which looked really cool. Playing Drive Buy with some of the Chucklefish crew! You can ask for the Chucklefish emote it in our Discord #lounge with your Steam name. This week we welcomed 250 new drivers to Drive Buy by sending out the 1st wave of steam keys. Today we’re making good on our word of dropping more keys in our next wave, so say hello to another 250 drivers! The weekend should be full of Drive Buy goodness, let us know how you get on in our Discord. If you spot a Glitchers badge next to a drivers name, then you’re playing with Glitchers staff! ﻿It’s time to Deliver or Die! 250 steam keys are going out to the first wave of closed beta players today. Check your inbox, if you’re in then boot open Steam to redeem the key. Now you can start delivering products to the brainwashed masses! For the first 250 players, your career in Drive Buy is just beginning. Behind you are another 250 drivers and another – you get the point. This week we tackled some usability around joining matches. We wanted to make it super simple and have a backup if there were no games to join the instant you started looking. 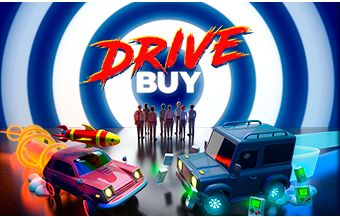 Drive Buy also needed an easy way to invite other steam friends to join in.